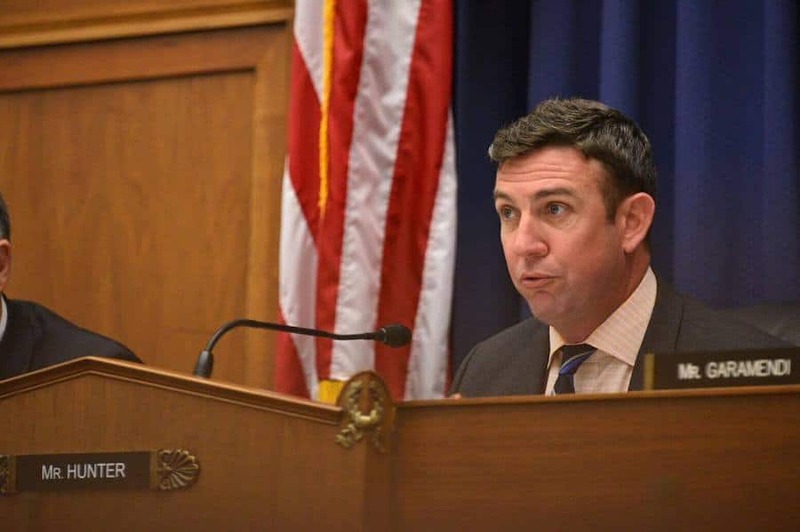 Republican Representative Duncan Hunter and his wife, Margaret, have been indicted for using $250,000 worth of campaign funds for blatant personal expenses. The couple has also been charged with filing false campaign finance records. Among the charges is wire fraud, falsifying records, campaign finance violations, and conspiracy, according to CNN. The Department of Justice indicted the couple after an investigation that lasted more than a year. The timing of the indictment could spell trouble for the GOP. Hunter carries a seat in a San Diego County district that has been long considered a safe bet for Republicans. The staunchly Republican district could be in danger of flipping blue with Democratic challenger, Ammar Campa-Najjar, repeatedly outraising Hunter during the primary build-up to the 2018 mid-term elections. Hunter and his wife were investigated after hundreds of thousands of dollars in expenses were placed on a campaign credit card. Among those expenses were a family vacation to Italy, personal dental work, and large personal tabs at restaurants in San Diego and Washington D.C. In one case that has drawn scrutiny, the couple used campaign funds to fly their pet rabbit with the family. An Aide for Hunter’s campaign later claimed they simply charged the wrong card for the pet rabbits airfare. NBC’s San Diego 7 revealed that the Hunters used various methods to conceal their spending habits, including “mischaracterizing the purchases in FEC filings as ‘campaign travel,’ ‘dinner with volunteers/contributors,’ ‘toy drives,’ ‘teacher/parent and supporter events,’ ‘gift cards’ for charitable donations, and “gift basket items,” among other methods. Hunter later tried to throw his staff under the bus, telling KGTV-10 in San Diego: “There was wrong campaign spending, but it was not done by me.” Hunter’s wife, interestingly, served as his campaign manager. Even if Hunter now withdraws from the race, his name will remain on the November ballot barring State court intervention.